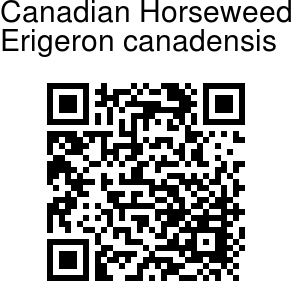 Canadian Horseweed is an annual herb growing up to 1.5 m tall, with sparsely hairy stems. The leaves are slender, 2-10 cm long and up to 1 cm broad, with a coarsely toothed margin. 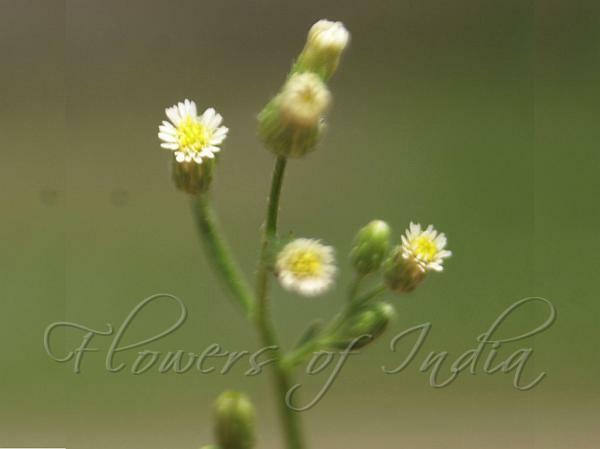 The flowers are produced in dense inflorescences 1 cm in diameter, with a ring of white or pale purple ray florets and a center of yellow disc florets. Horseweed is commonly considered a weed, and is native to the American continents. Identification credit: Gurcharan Singh Photographed in Balgarden, Srinagar, Kashmir.